This is one for all you Disney fans. 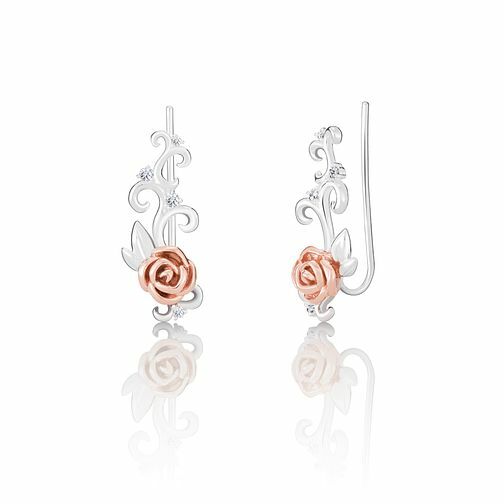 Styled in sterling silver, rose gold electroplating and subtle clear crystals, these rose and branch climber earrings - based on the iconic Disney classic Beauty and the Beast - are the perfect addition to any Disney fans Chamilia jewellery collection. Chamilia Disney Beauty & The Beast Ear Climber Earrings is rated 5.0 out of 5 by 1. Rated 5 out of 5 by Anonymous from Amazing ! Beautiful set of earrings. A little tricky to attach, but still beautiful.